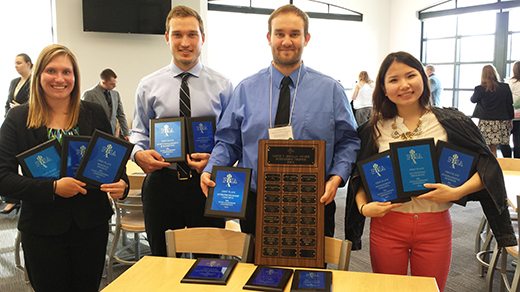 For the ninth time in 10 years, Upper Iowa University’s Phi Beta Lambda (PBL) Chapter has been bestowed the prestigious Lloyd V. Douglas Outstanding Chapter Award. The local chapter members were recognized during the recent PBL State Leadership Conference in Des Moines. The two-day conference was hosted by Grandview University.